I command you, all ye my saints, to build a house unto me (D&C 124:31). Whenever there have been righteous people upon the earth, the Lord has commanded them to build temples. 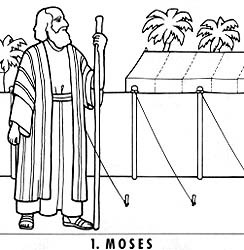 From the time of Adam to the present day, temples have been places of sacred worship. 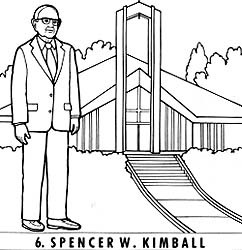 Instructions: Read the riddles about some of the prophets and other leaders who were commanded by the Lord to build temples. Match each picture of the man, and the temple built under his direction, with the riddle. Color the pictures, mount them on heavy paper, cut them out, then glue a flat stick to the back of each one. Use the pictures to retell the stories to your friends and family. 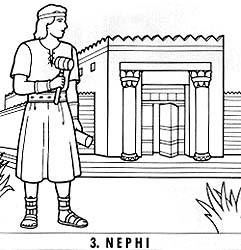 Have the children divide into groups and read about each temple and the prophet or leader associated with that temple, as discussed in Sharing Time. (See page 12.) The children could retell the stories using their own drawings or props. 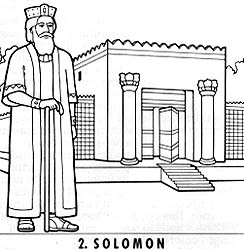 Play “Who Am I?” using either the examples given or other prophets who have been commanded to build temples. 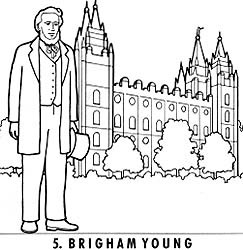 Have an adult play the part of each prophet or leader and interview him, asking for details about the temple-building experience and his testimony of the importance of temples. Sing “Easter Hosanna” (Children’s Songbook, page 68), or “Had I Been a Child” (Children’s Songbook, page 80), and discuss how each relates to Christ’s appearance to the Nephites as recorded in 3 Nephi 11. 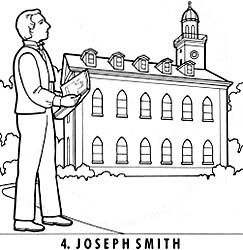 Sing “Truth from Elijah” (Children’s Songbook, page 90), and discuss the appearance of Christ and Elijah in the Kirtland Temple as recorded in Doctrine and Covenants 110. (1) E, (2) C, (3) A, (4) B, (5) F, (6) D.